Dude, can I just say ... ow? I'm officially at the uncomfortable point. Let's be honest. Hips hurt, can't sleep a wink ... and hot dang, this kid kicks hard. The little dude is also breech right now. What exactly is he doing in there? Kickflips and frontside airs? If you looked across the room at me, you'd see my belly jumping in four different directions at any given moment. I know all too well that I'm going to get huge over the next two months and things will be getting even more crowded in there. I still have a long way to go, but I get to have another ultrasound right after Christmas to see how we're doing. (This will be my fourth ultrasound ... or fifth?) I hope he flips back around to where he needs to be. Can we just fast-forward things a little bit? I've never been pregnant, and frankly I'm not looking forward to it either. 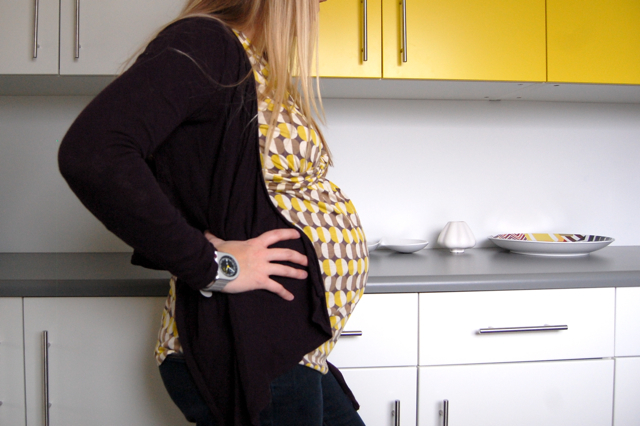 I've been following The Fitnessista (forever, but she's been pregnant for 9 months). She loves the snoogle pillow ... which I have no idea if that will help the hips thing. I have a hip injury and I've been told to sleep with pillows between my legs. Anyway ... let's hope this baby boy flips back to where he should be! Put the pillow between your hips for sure and get some prego massages! Hang in there it will be over soon! Dude, we are totally in the same boat. Guess what? It just gets worse. 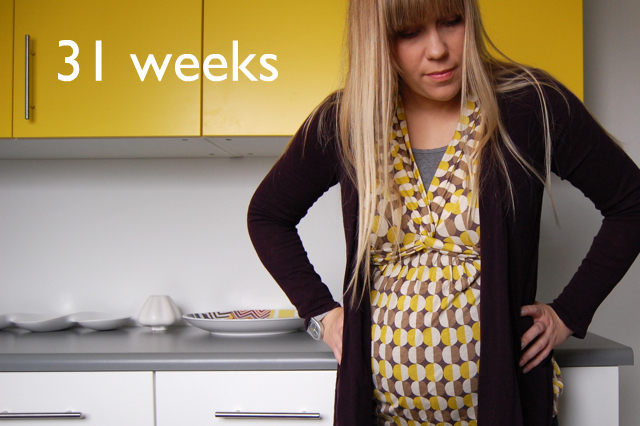 I'm 37 weeks in two days, so not too far ahead of you. Don't worry, it's almost over! Well, kind of almost.